READING DOWN THE HOUSE is a challenge to myself to read the books I’ve already bought, and have in my house, rather than continuing to buy more. Feel free to join in and link to your blog in the comments, or just tell us what you’re reading! At the start of the challenge, on the first of November, I had 17 books waiting to be read. This month I had the best of intentions to read Frank MacDonald’s A Forest for Calum. However, my book club selection was long and slow-going, and I also “had to” watch Season 3 of Game of Thrones on DVD, so … A Forest for Calum was deferred. 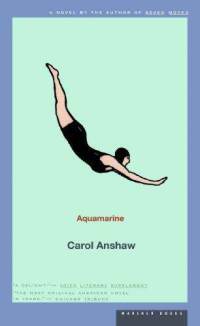 Instead, I chose the shortest book on my unread pile, Aquamarine by Carol Anshaw. I felt like a kid doing a book report and asking the librarian for a skinny book! (This happens to us all the time at the public library where I work). Although I try not to bring home too many discarded books from the library, this was among the few I let in. It is the author’s first, it received rave reviews and won several awards, and the author has gone on to write three more critically acclaimed novels. The first thing I noticed about it is that it captured the way people acted, spoke and thought in 1990 perfectly. That was almost 25 years ago, and all of us have a very different sensibility now. The book took place during the pre-Internet era when people had answering machines with tape loops in them, and they didn’t track each other 24/7 with cell phone calls and texts like we do now. People lost touch with old friends and couldn’t find them on Facebook. In this world, we meet Jesse, age 40, who settled down with a kind and easy-going hometown boy after winning a silver medal in swimming at the Olympics when she was 17. She is vaguely dissatisfied with life. Is it because she feels second-best with her silver? Because she has unresolved feelings for the gold medallist? Because her husband is so predictable? Or because a still-platonic rendezvous with another man has her thinking about her options? As soon as all of these questions are raised, the author provides us with different versions of Jesse’s life, had she followed one of these other paths. I liked it that the author didn’t introduce any devices in the book, such as time travel or amnesia, to make us think THIS life is the real one, and THAT life was an imagined one. It is left up to us to think about which scenario we prefer, and what that says about us. That was my only book for the reading challenge; the rest of my books for the month were all library books. So I have 11 more to read by December 31. I go to a book club that focuses on international fiction, mainly books set in developing countries. But this time we read Oscar and Lucinda by Peter Carey, an historical opus which was set during the White settlement of Australia. The book required a big commitment of time, and I’m glad I read it. The author has a dazzling way with words, and is lyrical and clever in unpredictable ways. It’s a good read for that reason alone. The book is roughly divided into thirds – the story of a pastor’s son in England who parts company with his father over theology, and the story of an heiress and industrialist who takes on a complex and dangerous project. The two stories are joined by a meandering tale of growing up, being led around by others, and falling prey to vices. One is so old-fashioned for his time that he can hardly survive in his own world; the other is so far ahead of her time that she could only be a misfit, too. It was magical to see their stories coming together, and colliding with the culture that they lived in. Once again, I didn’t know there was a movie version until after I had finished the book, and I hear the outcomes are different, so now it’s on my must-view list. At the end of last month I was just finishing The Rosie Project by Graeme Simsion. Though improbable, it was wildly funny and a joy to read. It’s hardly possible to talk about the book without referring to Sheldon from The Big Bang Theory on TV, since he would be most people’s point of reference for the main character, Don. Both characters are overstated media versions of guys along the autism spectrum. Don enlists the help of his only friend to draw up a dating questionnaire which will find him a suitable mate. But because he is ruled by logic and has social skills unlike anyone else, his criteria are outrageously strict. Enter Rosie, who does not measure up to his standards in any way. They bond over a project which is personal for Rosie (finding her father’s identity) but which is merely scientific for Don (a series of genetics tests). What I loved about the book is that the author tells us very little explicitly about Don’s world view. We learn about it from his actions and their unintended results. Yes, folks, this is how character should be revealed – unlike that dreadful book I read by Scarlett Thomas a few months ago (titled Going Out) in which everything about the characters is described bluntly as if for a 6-year-old who can’t deduce anything. 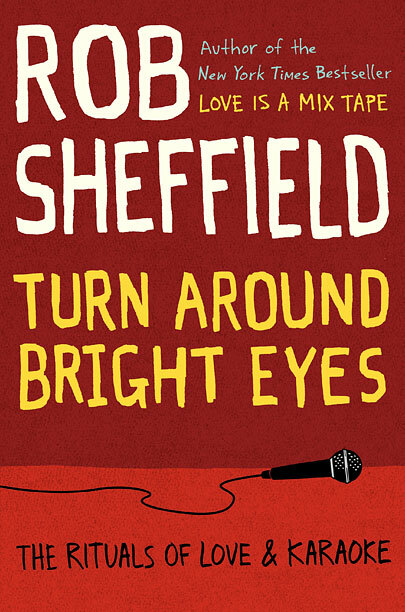 My favourite book of the month was Rob Sheffield’s Turn Around Bright Eyes: the Rituals of Love and Karaoke. It actually had something in common with The Rosie Project in that the featured men were very, very geeky and lovable. This is the third volume of memoir for Rob Sheffield, following Love Is a Mix Tape and Talking to Girls about Duran Duran. He is a reviewer and journalist for Rolling Stone, and a life-long music fan, but never a musician. He has omnivorous tastes in music, leaning toward the very most popular and radio-friendly music. He married young, and sadly, became a widower at a young age, too. Unable to get past his grief, he isolated himself, except for bold forays into karaoke bars, where he belted out pop songs with his non-musical voice. You might think that karaoke itself saved him, and perhaps it did, but he proceeded with some bold actions to turn his life around. What I loved about this book is that the author adores his wife and he waxes rhapsodic about being a husband. He is a feminist. Plus, their life is all about their shared interest, music fandom. How could I not like it? I will be buying a copy! I picked up The Wealth Cure: Putting Money in Its Place because it was about how we regard money in our lives, and not about how to manage it. 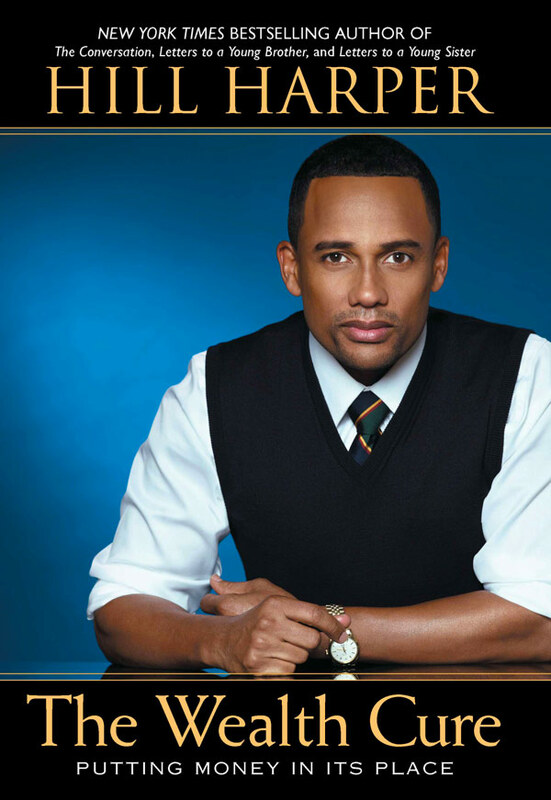 Hill Harper is an actor, and the writer of the inspirational books Letters to a Young Brother and Letters to a Young Sister. I have read tons of financial advice books and this wasn’t one. It was intended to inspire about using money wisely to reflect your values, rather than as a status symbol. The author uses a storytelling style, in which he takes a train journey across the west to meet up with a friend and share some personal news. Along the way, he reflects on mistakes he’s made and advises us on how we could avoid the same. There’s a little bit of financial training, a little bit of religion, some self-reflection and even some celebrity gossip. I thought this was a really down-to-earth book that a lot of people could relate to. Interestingly, the library put it in the self-help section rather than personal finance. 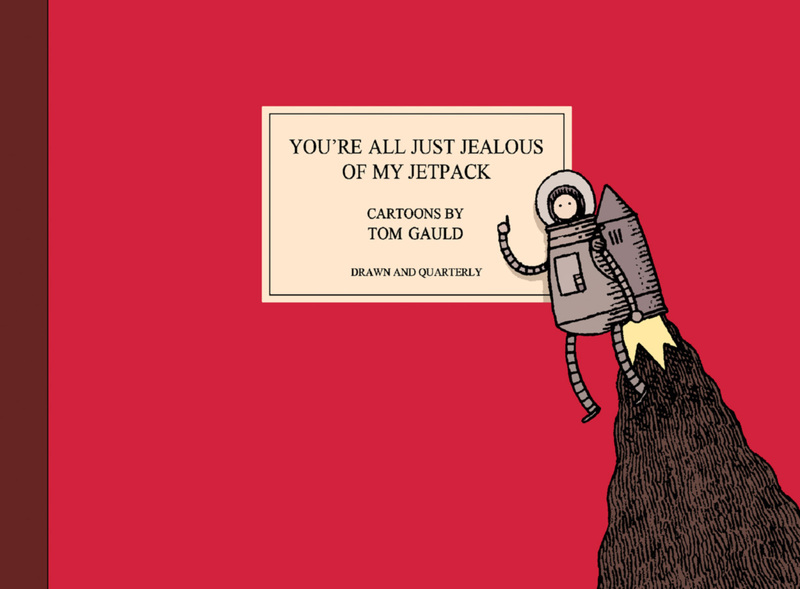 In among reading other things, I pored over this book of comic strips by Tom Gauld, whose graphic novel Goliath I read recently. It started off with some subtle strips, but got progressively funnier as I got further in. A lot of the panels were about literature and high culture of various kinds. See them on the author’s Tumblr. Lots of giggles for us bookish types! 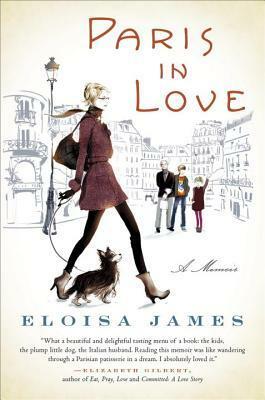 Finally, I am now reading Eloisa James’s memoir of a year in Paris with her family, called Paris in Love. Most of the book is in the format of Facebook updates which were collected and expanded in the book. If only I knew more Facebook wizards like this author, I’d use the site a lot more! She uses the brevity of the update format to present crystallized moments with lots of “bite.” She, her spouse, two kids and a part-time dog were doing full French immersion. She is there as a writer while her husband works and her kids go to school, so she is well situated to give a running commentary. She really does make it sound like the city of romance, even if her love of baguettes and apricot tarts is making her outgrow her favourite green pants (?!) I am finding this the perfect book to while away the cold, snowy days and dream of spring. What have you been reading? Anything that’s been sitting on your shelf for a while? I’m curious, what do you do when someone comes into the library and asks for a skinny book? I would go through the same process as usual by asking about their tastes in reading, and if it’s a student, ask about their grade level (year) and their teacher’s expectations. Then go browsing on the shelves for books that match their interests, and see if they choose the thinnest (if the book report is due the next day!) or the most riveting. I try not to recommend something far below their ability level just because it’s easy or short, but sometimes students really want to be steered that way! Do you have any tips? If they were an upper secondary student, you could be wicked and give them Conrad’s Heart of Darkness. Proof that skinny books are not necessarily easy and quick to read. I used to regularly have to deal with the skinny/fat book requests/complaints when studying novels in English. I’d explain paper quality and font size can change a book’s thickness and it is language, style, narrative structure and concepts that make a book quick to read or not. Not how many pages it has. I’ve been better about using our little library this month. I read Tracy Kidder’s Mountains Beyond Mountains about a doctor’s clinic in Haiti, an older book I had not read; made me feel inferior, but a great book. Then.weirdly, I had checked out Mavis Gallant’s Paris Stories, and she died! These are evocative stories set in France, mostly, and beautifully written. Not yet done. Paris Stories sounds like a lovely follow-up to the one I’m reading, Paris in Love! I haven’t bought any new books yet, but I still bring home a steady supply from the library! I am happily shocked to find all the books you read are at my own library! Often they aren’t due to horrible budget cuts the last few years. The book I read recently that I thought was very good and very poignant was “Please Look After Mom” by Kyung-Sook Shin. It was a Christmas gift after I mentioned the list of books read by the writer who read a book from every country. I received one each from Asia, Europe, Africa and Latin America and they are all so different from what I normally read. “Please Look After Mom” sounds like just the kind of book my book club would like. They are also considering following that list! Paris in Love will definitely have to go on my list! I gave myself 14 months to read the 17 books (I started last Nov 1) – because I wanted to allow lots of time to read new library books as well! I think you would like Paris in Love – the author’s kids were 11 and 15 at the time of their visit, and they are such characters – I’m sure you could relate! I didn’t find book reports too difficult in school, but I definitely preferred the reading part, too! I would love to hear what you think of those two books, if you get hold of them. I might be one of the few Australians who doesn’t like Peter Carey’s books. In fact I hate his style – verbose, pompous, surreal. (Tell us what you really think, Lucinda.) I have read Oscar and Lucinda, and persevered to the end, even though I wasn’t enjoying it. But then who am I? I don’t like our most popular author of the last decade or so – Tim Winton. 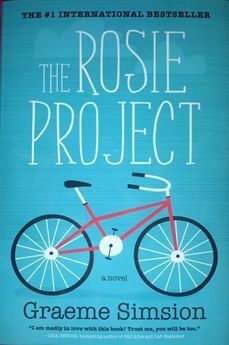 I really enjoyed The Rosie Project. (And, yes, I like The Big Bang Theory and found Don very Sheldon-like.) I liked the gentle humour. Thought the author would have trouble sustaining the narrative voice and keeping the reader engaged, but I think it was effectively done. My book club didn’t like Oscar and Lucinda, and I did find the middle third a long slog. I’m undecided about reading any of his other books. I am not familiar with Tim Winton – what do you not like about his writing? I’m loving Tom Gauld’s drawings. Stop! I have to get ready to go to work. Wish there were more like him! If you are a history buff, you might like Kate Beaton’s book and website Hark! A Vagrant. But maybe too Canadian-centred. I finished Atwood’s MaddAddam triology, and then picked up ‘The Road’ by my husband’s favourite author, Cormac McCarthy. Man, I am a bit depressed now! Are you listening to CBC’s Canada Reads contest this week? I think it is somewhat ironic that the 1st novel to be eliminated is the one about environmental destruction, with a number of the panelist saying they didn’t related to the novel. I think that sums up a lot of people’s detachment from nature and its issues. OK, I better go and read something light and uplifting! Good for you on the trilogy; I have only read Oryx and Crake. I won’t touch a Cormac McCarthy! Don’t think I could tolerate the grimness. I haven’t been following Canada Reads, but your comment says a lot! I wonder to what extent they feel compelled to choose books that are “popular enough” to connect with their audience. Hope you found something cheerful!